Studio RM is the latest update of Datamine’s industry-leading tool for resource and reserve evaluation with a proven track record of over 30 years, replacing Studio 3. 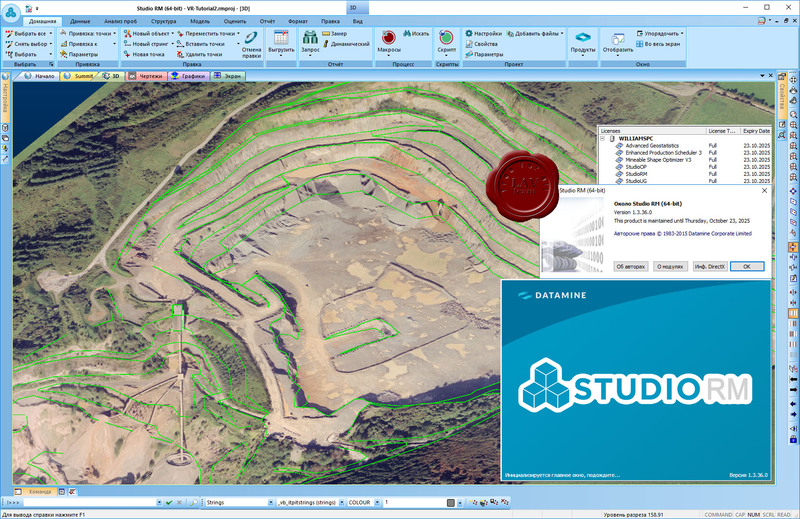 With its new activity-based user interface and trusted multi-parametric modelling capabilities, Studio RM is even more powerful and easier to use than its predecessors to deliver corporate resource and reserve information with the quality, accuracy and reliability required by geologists, management and downstream users. Studio RM has the required auditability, repeatability and functionality to produce resource and reserve statements according to the standards demanded by the JORC, SAMREC, NI 43-101 and Guide 7 reporting codes. Accuracy - produce resource and reserve models that accurately represent geology, structure, mineralisation and grade. Attribute support - include costs and engineering factors within multi-parametric models to more accurately represent mining reserves. Automation - update models and reports using consistent rules and methodologies as new data becomes available. Save time and reduce errors by easily capturing and automating pieces of workflow to reliably carry out repetitive tasks. Integration - derive value from all your data sources in one place with our comprehensive read and write capability. Communication - Publish to Summit for secure storage and viewing in 3D online, or save data in the form of 3D pdf files that can be viewed on any device with a pdf viewer.